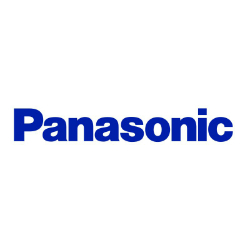 Panasonic Marketing Middle East & Africa (PMMAF) has announced plans to enter the Tanzania electrical construction materials market in a partnership with United Traders LLC that is expected to facilitate accelerated growth in the East African markets. Speaking at the new category launch Director of the Eco Solutions Category for Panasonic Marketing Middle East & Africa, Tatsuya Kumazawa, explained that the projected growth of the Tanzania economy and the current expansion in the public and other investments to help further stabilize the economy indicate that Tanzania is primed to welcome a new electrical construction materials industry. “We are well-positioned to cater to a fast growing and potential market in the coming years,” he said. According to Khalid Salim, Co-Owner of the United Traders LLC (Clock Tower Tanzania), the ongoing partnership with Panasonic is in line with the goal of providing customers with the newest and most innovative products. With a vision of becoming the top ranked company within the next few years, Panasonic is currently ranked 2nd globally for wiring accessories and is eager to take advantage of the growing demand in African markets for high quality products to drive sales across the region.